If you are relocating your office let us help make the move securely and professionally. We have the expertise to move your business whether you’re a small company moving office or a larger organisation moving across the country. Office relocation can be a stressful experience, which is why we offer a versatile service, designed to suit your specific needs, so that you can carry on with your job. We have a team of office removal experts who will work closely with you throughout the duration of your move. Our Commercial Removal experts will prepare a detailed relocation plan that will be tailored to your exact requirements. Your relocation plan will link all the resources, equipment and transportation needed to the exact timeline you require. All our moving teams are well presented in uniform and will be respectful and courteous with all your possessions. 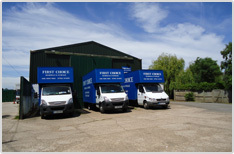 At FCR Removals we can provide storage solutions for all of your commercial requirements. We offer secure storage facilities, for as long as you want whether it short term or longer term. Our storage warehouse is clean and dry. 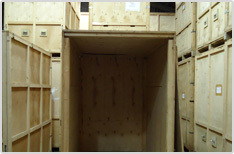 We can offer the complete storage solution by using Secure Container Storage. If you would like to view our storage facility please contact us on 020 8866 8225 or 07702 554835 to arrange an appointment.